This holiday season, we are celebrating kindness. Starting the week of November 13, we invite you to tell us about an act of kindness you’ve done or experienced. You can share your kindness story on the special wall at your library. 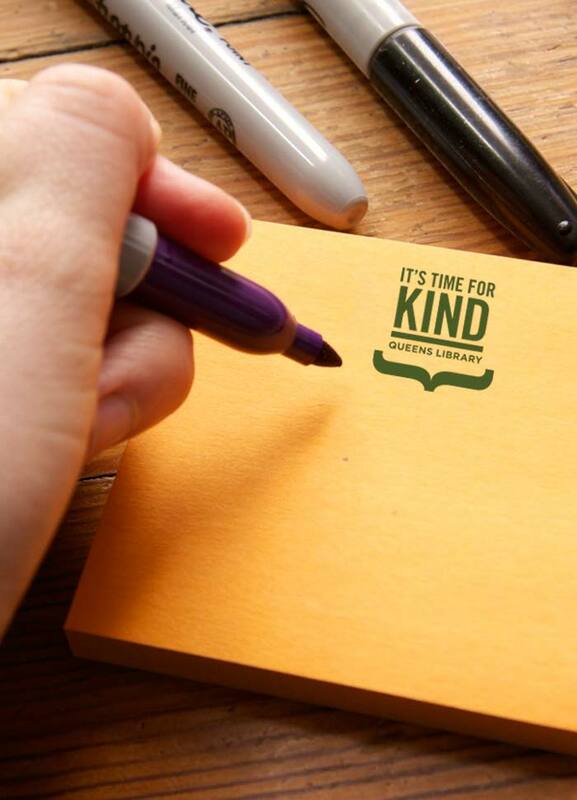 Then, take a photo of your post-it and share it on social media with the hashtag #ItsTimeForKind. You can also share your story on the virtual wall below.